Washington photographer Ross Schram von Haupt captured this awesome vertical shot of the night stars above Mt. Rainier. In order to do so, he stopped at the Sunrise Visitor Center nearby and arranged the shot around 2am, just before the moon started rising. 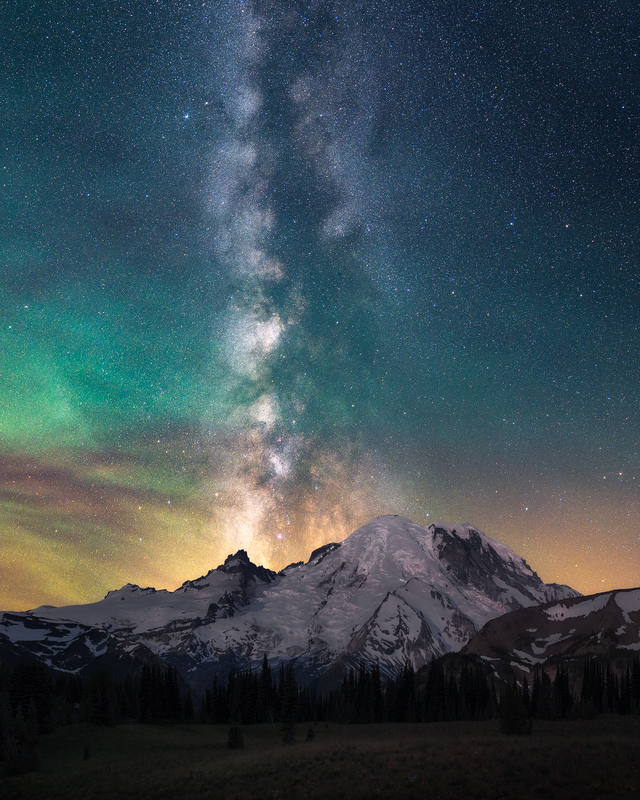 He cropped and aligned the photographs afterwards to correct the size and placement of the Milky Way, since he used two lenses with different focal lengths. Von Haupt used a Nikon D610 camera with a 14mm Rokinon lens at 14mm for the stars and a Samyang 24mm lens at 24mm for the foreground. The 180-second foreground shot was taken at ISO 2000 at f/4.